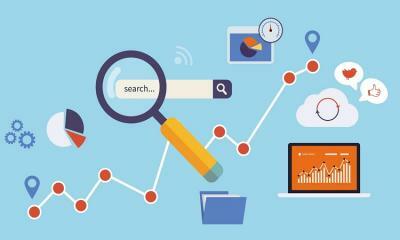 Be sure your website is ready to handle the increased traffic after implementing these tweaks. When it comes to SEO, most people preoccupy themselves with off-page ranking factors - with an almost unhealthy obsession with backlinks. Especially if you’re fairly new to the SEO scene, you may be forgiven for thinking that backlinks are the be-all and end-all of SEO. While “the number of domains linking to a page correlated with rankings more than any other factor,” according to a study of one million Google search results by Backlinko, and the authority of linking pages also plays a big part, in order to truly reap the benefits of off-page SEO, you need to have the on-page factors in order first. You’ve probably heard enough about title tags and keywords, but what are some of the other important on-page factors, ones that a lot of people probably aren’t optimizing - perhaps even you? Google has been taking site speed into account as a ranking factor since way back in 2010. And just this year it’s become even more important as they rolled it out as a ranking factor for mobile as well. Why the emphasis on site loading speed? The simple answer is Google’s aim is to provide the best user experience possible. And web searchers are an impatient bunch. Even a small delay in loading time can mean a visitor will close your site and search for another one to serve their needs. Obviously, it is not in Google’s best interests to present sites to searchers that they’re not even going to stick around to read if it fails to load fast enough. After all, your site’s loading time is the first chance for it to make an impression on visitors. Just how detrimental is slow loading speed to your site? Research by Akamai found that even a 2-second delay in load time can increase the bounce rate by 103%, and 53% of mobile site visitors will leave a page that takes 3-seconds to load. Not much leeway granted by visitors there, huh? Images and their large file size play a big role in your site’s loading speed, so reducing the size of them can have a decent impact. How much of an impact? In this study, testers compressed 22MB of images down to 300kb, and correspondingly, the site’s time to interact (the amount of time a user needs to wait before they can interact with the site) dropped from 6.1 seconds to 1.8 seconds - a whopping 70% reduction. Reduce size by cropping images to the size you want, rather than uploading a large image and using the width parameter to set the size. Next, you’ll want to use a tool to compress all images. If you use WordPress there are a number of plugins available to do this. If you don’t use WordPress you can upload all your images to a service like Compressor.io to optimize sizing and compress them. Ensuring the right file type for each image has an impact, too. Stick to using JPG, PNG, and GIFs, and avoid BMP and TIFFs. Also, avoid empty image source codes, to avoid browsers making unnecessary requests. In basic terms, they optimize the distribution of data for faster load times. Examples of CDNs are Cloudflare, and Amazon CloudFront. Fast, dedicated web hosting is one of the best changes you can make to increase your site’s loading speed. Dedicated servers are best, but faster hosting doesn’t always need to be expensive. Most of the major web hosting companies will offer cloud hosting, which is a good compromise on speed and cost, and it’s well known you can always find an up to date Hostgator discount coupon. Image optimization is one area where a lot of website owners let themselves down, but recent changes to Google Image Search means SEO for images has made a comeback and should not be ignored. All image file names and alt text should be optimized, in order to tell Google exactly what each image is. At least one image file name should contain your page’s target keyword, and your target keyword should also be part of the alt text. Leaving images with default titles, that may contain strings of numbers and hold no relevance to the theme of the page or keywords, and leaving alt text completely empty are two practices that far too many site owners are guilty of. Taking a bit of time to make sure image file names and alt text are optimized will make Google like your site just a little bit better, plus, you will get the added benefit of potential traffic from Google Image Search too! It’s an unavoidable truth that longer content tends to rank higher in Google. In the Backlinko study, the average number of words for pages that ranked number one was between 1900 and 2000. This makes sense, as Google’s aim is to provide the best user experience and best answer for any given search query, so it stands to reason that a long piece of content is likely to provide comprehensive, thorough and informative answers to searchers. Combine this with the fact that quality pieces of content attract more links, and they are going to rank for more long-tail keywords as well, and it’s a no-brainer that short pieces of content aren’t going to cut it. While a long wall of plain text may provide all the answers a searcher could be looking for, it’s attractive images, videos, and graphics that are going to engage your readers and keep them on your site, reducing bounce rate, and increasing dwell time - both ranking factors that Google takes into account. Multimedia increases the perceived value of your content among readers, and as a result, attracts more links. It creates a more engaging experience for readers, and it stands to reason that readers are going to be more likely to link to a piece that’s engaging and visually attractive and entertaining, as opposed to a page that’s boring. Back up your written content with photos, illustrations, screenshots, diagrams, infographics, video (which is especially good for increasing dwell time). Your readers will thank you - and your site is more likely to be rewarded with more links. Internal links should not be done solely with an SEO focus - the main consideration should be the benefit to the reader. Do this, and the SEO benefits follow. Let me explain: internal links within your site’s content should complement the experience for the reader. They should be used to add value and further information that the reader might find useful. Linking to relevant and related content is the aim. They should appear natural, too, not shoehorned in unnaturally where it may appear to be an awkward fit. Use natural anchor text, too. Internal links don’t need to be keyword-focused and optimized; natural sentence fragments are fine. Make sure internal links are leading to deep pages within your site. One of the aims is to allow search engine spiders to crawl and navigate all your content, and develop a thematic picture of your site, as well as spreading the flow of “link juice” throughout your site. The higher the authority you can build on internal pages the better. Avoid linking to your home page, contact page, or other top-level pages unless necessary. These pages are already likely to have links from the main navigation menu, and the aim here is to spread the SEO value throughout the internal pages, as these are the ones less likely to have high numbers of external links pointing to them. There’s no magic number to the number of internal links, either. Just keep the links natural and their purpose to serve the reader. If the linked-to content is relevant and likely to help the reader out or be of interest to them by expanding on a topic or being information that is related, then go ahead and link. By using these kinds of links you’re sending a signal to search engines that the content you’re linking to is really good. While there are a large number of on-page SEO factors to consider for your site, the purpose of this article is not to delve deep into what can become a very confusing subject - unless you’re skilled at undertaking technical SEO audits then it’s unlikely you’ll ever be able to cover all the on-page SEO bases. But this guide will have given you an outline of 5 of the most important on-page factors that a lot of site owners don’t tend to utilize properly. If you can get these 5 SEO areas right, you’ll be well on your way to reaping the benefits from search engines in ways that a lot of sites don’t.